Whether you have a large estate or a humble flat, adding a little drama to your interiors is never a bad thing. While some may opt for an entire dramatic look, for some it’s better to start off slow and introduce a few wonderful pieces that will really start to shape the feel of your interior. From lighting, mirrors and home accessories, here are some amazing ways to add some excitement to your home and begin to give it a dramatic flair. A pair of theatrical candlesticks are always a good place to start if you want to just dip your toes into the dramatic pool. These cheeky dog candelabras from House Junkie are a contemporary, modern way to introduce some quirky drama. Placed on either end of a mantelpiece, or on a table, they’re sure to be an eye-catching piece. If your taste is a little more feminine, then these bird candlesticks are the perfect combination of quirky sweetness and intriguing theatrics. 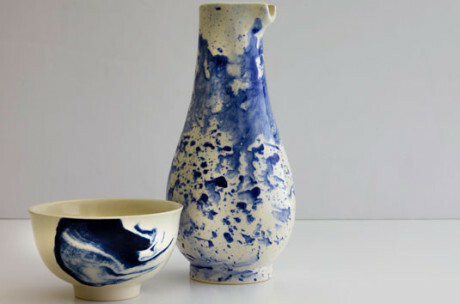 The hand painted porcelain pieces will make a subtle but effective addition to a sitting or dining room, adding just the right amount of pizazz. A super easy way to add some drama to a room is with lighting. Though our first thought when it comes to dramatic lighting might be a huge glass chandelier, there are some really interesting ways to give your lighting some gravitas, that can follow some unconventional style trends. This three tier recycled chandelier is full of retro, bohemian glamour. It’s perfect if you don’t want to take your interiors too seriously and want to add some fun style. For another alternative way to add some glamour and some delicate drama to your lighting is with this amazing knitted rope chandelier, a completely innovative way of reinventing the classical piece into something contemporary and intriguing. From the ceiling to the walls, give an interior some quirky glamour with something like this monkey shelf. It has all the same motifs as a typical gilded ornamentation you might find in a French chateau, but here you get a sense of humour with your drama in the form of a little cheeky monkey! When it comes to the dramatic interior it’s all about a showstopper piece, and this cuckoo clock certainly fits the bill. The interesting metalwork creates a dramatic display and is a really eye-catching piece. This canvas print from House Junkie, designed by Angela Rossi, is definitely not for the faint-hearted. The surreal print is just the piece if you want add to an existing collection of wacky art, or begin to start a new one. The vibrant flamingo will look amazing placed in a dark, moody room. Having a dramatic interior doesn’t always means having to have the wildest, wackiest pieces you can find, you can still maintain your own style whilst embarking on your journey of drama! 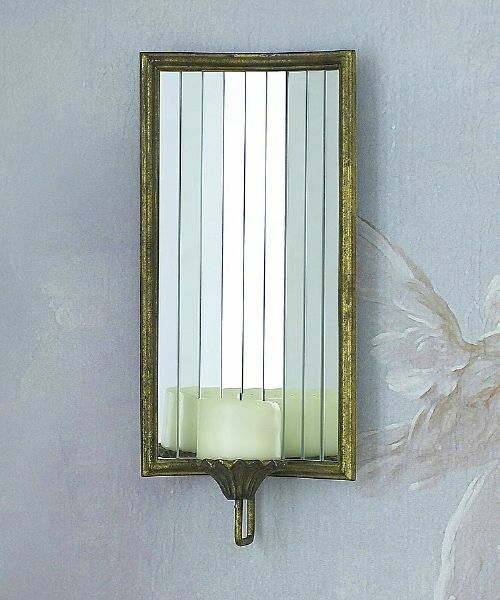 This huge mirror from Angel & Boho is not only beautiful but full of romantic, bohemian drama. If you’re looking for an old, faded glamour effect, this is a rather perfect piece. A screen is an accessory that will always have something of a theatrical presence in a room, but often the most common style will lend themselves to the retro interior motifs. But this piece from Oka is perfect for a clean, contemporary style. The Grunewald screen is hand-painted and will bring a wonderful fresh, dramatic impact to a room. From moody and romantic dramatic looks, to fresh and contemporary, there are all sorts of ways to include a fiercely theatrical theme into your interiors! Wood can be used in all sorts of unusual and exciting ways, from furniture, to art, to lighting there is all sorts of ways to play around with wood interiors. Wood has always been a homeowner’s best friend, and in the world of interior design, we are always finding new ways of using the material to create character and intrigue. I started to fall in love with wood interiors and discovered more and more how adaptable the material was, and how much fun you could have with it. Tom Raffield is a fantastic company, located in Cornwall that specialises in creating finely crafted wooden delights. I particularly love some of their pendant designs, using nature as both a material and inspiration each design is crafted with care and thought to create contemporary wonders. The Scots Light by Tom Raffield takes its inspiration from the woodland surrounding their design studio, taking the form of a fallen pine cone and made from individual cuttings of wood. It’s a wonderful piece to help celebrate high ceilings and make a beautiful statement in the middle of a living room or hallway. Another beautiful pendant from Tom Raffield’s collection is inspired this time from a butterfly in flight, its pendant uses its own shadow to enhance its design further, making it a delicate and elegant way to introduce wood into a contemporary interior. From the skies to the walls, decking out your walls in a wood motif is a great way to create some drama. Take this dark wood wallpaper for example, though it’s technically not real wood, it uses all the characteristics of wood, creating a dark and moody atmosphere. It’s a contemporary take on a traditional log cabin type style of interior and the burnt, black colour really gives it something extra. To incorporate wood onto your interior walls it needn’t be just by wood effect wallpaper, wall art such as this lovely piece from seller, ArtGlamourSligo from Etsy is an exciting and unique way to use wood in the home, and turning it into art is certainly a way to turn heads. Unto This Last is beautiful London company that focuses their talents on creating wonderful, eclectic pieces of plywood furniture. They take an ultra-contemporary stance on design and create some spectacular pieces. This CD storage shelf is more of a work of art, creating a three dimensional, minimalist piece of furniture. Another Avant Garde design from Unto This Last is the rather special skeletal-like chair with a fluid and wavy structure. This is the perfect chair if you’re looking to make a statement, use just as an occasional chair dotted in the corner of a room, or if you think your room (and you!) can handle it, go the full whack and get a set. 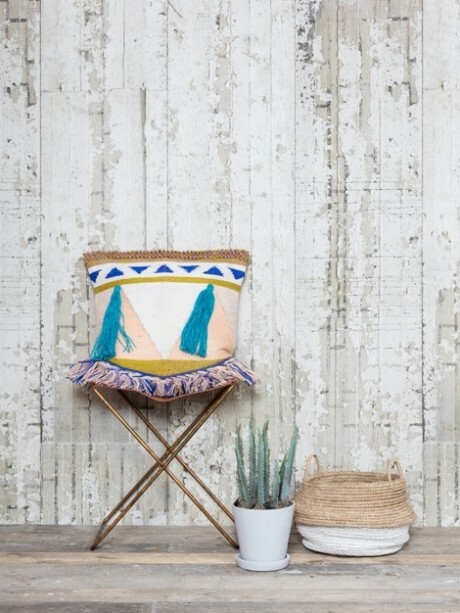 For a less dramatic, but equally beautiful wooden chair, this safari chair from Rockett St George is rather gorgeous. Great to pop around a dining room table or in a study, it’s an elegant piece with a hint of the exotic element. If you want a lighter wooden touch in your interiors, perhaps something that isn’t permanent or as big of a statement, try going for a few lovely wooden accessories to kit out your home. These mango wooden plates from Holly’s House are rather adorable and an unusual form of tableware. They’re a great idea if you want to create a more natural vibe on your dining room table. Another interesting find from Etsy seller ArtGlamourSligo is this bespoke reclaimed wood headboards. If you enjoy the industrial look, or are in the mood for something with a robust, rustic edge, a piece like this headboard could be perfect. If you love an item that has an interesting or exciting story or method of creation, take a look at these cardboard lanterns from Houselogy. Although there is a little debate on whether cardboard is technically wood, these lanterns are so lovely we had to step around the technicality! Their intricate design is created by combining layers of cardboard, the end results being a beautiful piece reminiscent of the moon. The individual layers and nature of cardboard material means that floods of light with come bursting out of each gap in the pendant, creating a gorgeous effect. There are hundreds of exciting and wonderful ways to get creative when incorporating wood into your home, and the possibilities can stretch for miles. Soon you’ll be turning your home into a beautiful woodland!